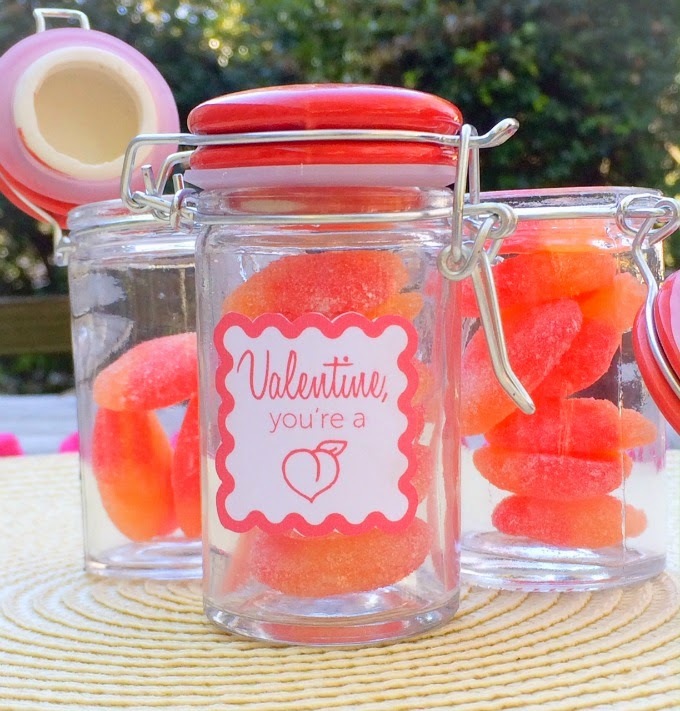 DIY Valentine's Day Favors: You're a Peach! On Monday I shared my hypothetical brunch table decor with you, and today it's time for the favors! Of course every shin dig must include parting gifts for your friends. 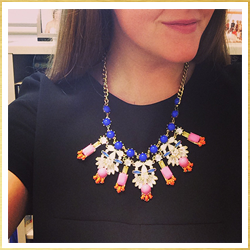 I have two to share with you, and the first one is up today! Being from Georgia, I love a good peach-themed gift. 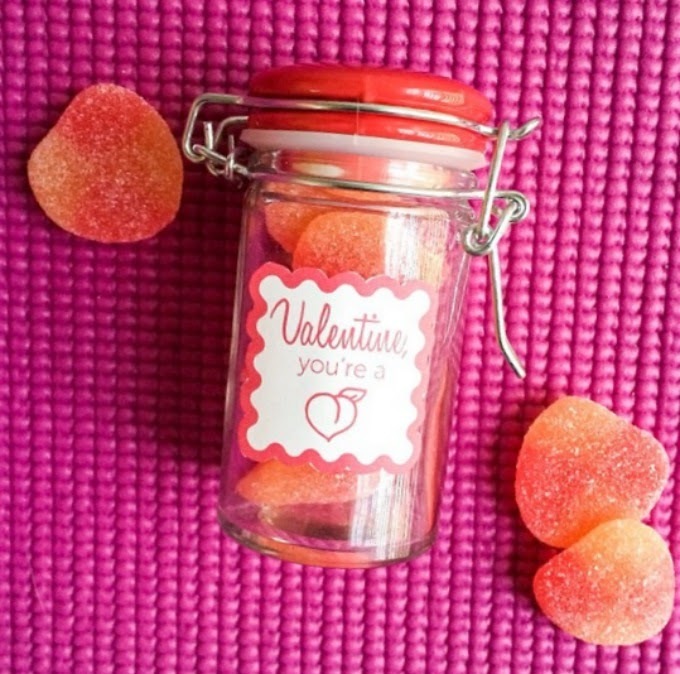 I picked up some heart-shaped sour peach candies from World Market, and the stumbled upon the cutest spice jars. These ceramic lid jars come in a variety of colors and are only $.99 each. YEP! Ninety-nine cents, people! 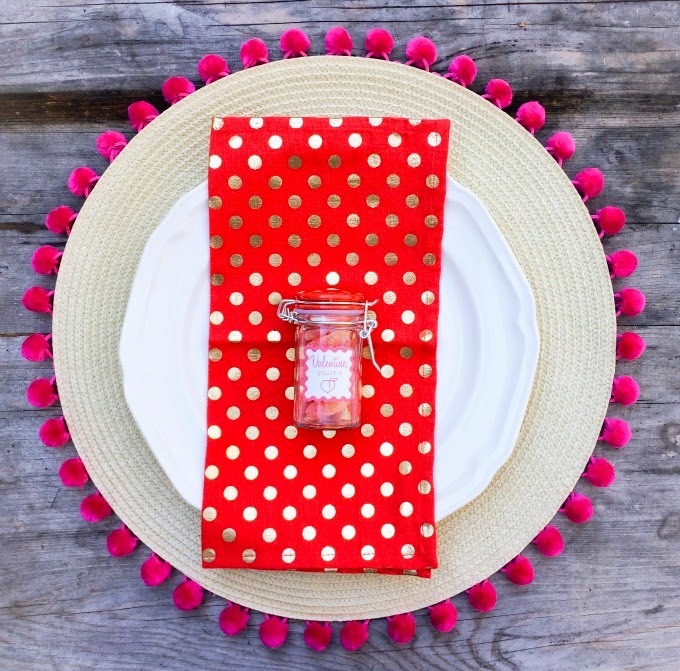 You can fill 3 jars with one bag of candy which brings this adorable DIY to just $1.62 each. Boom! Print them, cut them, and gift away! These would be great for friends, coworkers, or kids. Hassle free and cute as a button. Done and done. Thanks, lady! I had so much fun whipping them up. These are too cute Nicole! Such a creative little Valentine gift! Thanks for sharing sweet girl! Thanks, Luisa!! It was a fun treat to pull together.